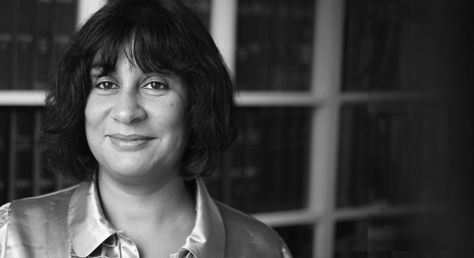 Anita Vasisht, a partner in our immigration team, explains how a newly announced policy from the Home Office may make it harder for refugees to obtain permanent residence in the UK. At the Conservative party conference in October 2015, then Home Secretary Theresa May announced a series of measures described as her “tough new plan for asylum”. Those measures included strengthening “safe return reviews”. When an asylum seeker successfully makes out their claim for protection, the Home Office grants them five years’ leave to remain as a refugee. This “refugee leave” brings with it various rights including the right to work, to family reunion, to set up their own business and to study. Most importantly, it gives frightened people who may have suffered torture the right to live in safety. Until now, a grant of “indefinite leave to remain” at the end of that five year period has been fairly certain and that high level of certainty has enabled victims of persecution to begin the healing process from the moment they are recognised as refugees. Secure in the knowledge that a grant of refugee leave, almost surely, sets them on the road to permanent residence and then citizenship, from the very outset they are allowed the sense of stability required to build new lives for themselves and the confidence to start integrating into British society. On 2nd March new guidance was published which introduces the concept of a new safe return review to be carried out when refugees apply for indefinite leave to remain. When someone with limited refugee leave applies to extend that leave a safe return review will be carried out. Where they no longer need protection they will not qualify for further refugee leave or settlement protection and will need to apply to stay on another basis or leave the UK. At Wilsons we have been helping refugees for more than twenty five years. If you are worried how this new Home Office policy on “safe return reviews” may affect you or someone you know and would like to discuss your concerns in a confidential environment with one of our qualified solicitors or partners, please contact Dionne on 020 8885 7979 and she can arrange an appointment. Alternatively email us at immigration@wilsonllp.co.uk and we will be in touch.